The Convert A Bench is a useful item to bring along during outdoor trips because of its multiple functions. 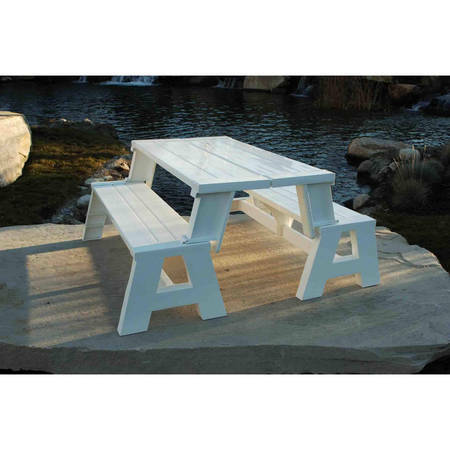 For one, it can be easily transformed into a picnic table by simply folding the back and armrests forward to create a single-sided table. 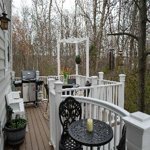 It can also be used as an outdoor bench to relax on the patio, or into a table for dining in the garden. The lightweight piece is extremely easy to assemble and can be carried anywhere, making it a practical companion during camping trips. Two separate Convert-a-Bench units can be joined to create a full double-sided table. This picnic bench is made from durable resin and vinyl materials. 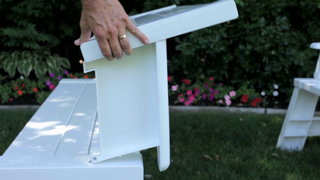 This offers total weather resistance and makes it the best maintenance-free furniture for the outdoors. 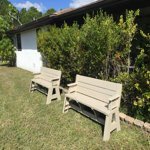 I bought 2 convert-a-benches like the other reviews said. Took 30 minutes to put together the first one and 10 minutes for the second one. Not going to trust 3 adults on it, but 2 adults are fine as long as they don't bounce around. I wouldn't put more than 10 pounds on the table unless your sitting on the bench or you have the 2 put together, it will topple over if you don't. I don't know how long it will last being out in the CA sun. Only time will tell, or another reviewer who bought theirs years ago. 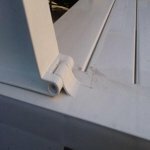 Hinge part swings easily, it may last as long as the bench, unless the plastic pin that holds it together breaks. That is my only issue. And again only time will tell. Still I think it is a great investment. 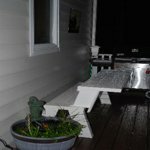 I bought 2 benchs because I was looking to have the table also... Easy to install ( my husband and I about 1 hour for the 2 itens). They are super cute and are exatelly what shows in the picture on line. We bought two for the picnic table effect. It was awesome. Easy to put together. And now to flip from bench to table takes 30 seconds. It is perfect for families with kids where we can just spray off the table for spills etc. good purchase for the cost. Love it! It's so easy to convert from one way to another. Even our 4 year old daughter can do it by herself. Highly recommend! This is a very nice product. I love the fact that it converts from a bench into a bench and table. I live in a condo and have a small patio. This is perfect because I don't have to buy a space taking patio and chairs set.